Japanese honeysuckle 'Hall's Prolific’ (Lonicera japonica 'Hall's Prolific'): growing, planting, caring. 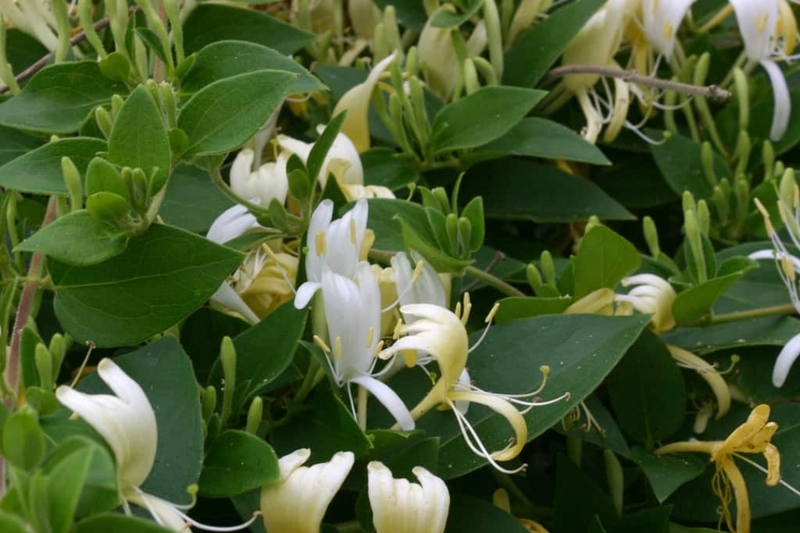 A strongly scented cultivar with a climbing habit. Full description for Lonicera japonica 'Hall's Prolific' not yet available. This honeysuckle cultivar is climbing, and it reaches 6 meters in height. Its leaves are oval, opposite, dark green, sometimes lobed. Flowering is white mixed with yellow as it ages, in tubules with two lips, arranged at the axils of the leaves. It is particularly fragrant. Be careful, the black berries that appear are toxic.